We are pleased to announce our launch into our third market, Canada! 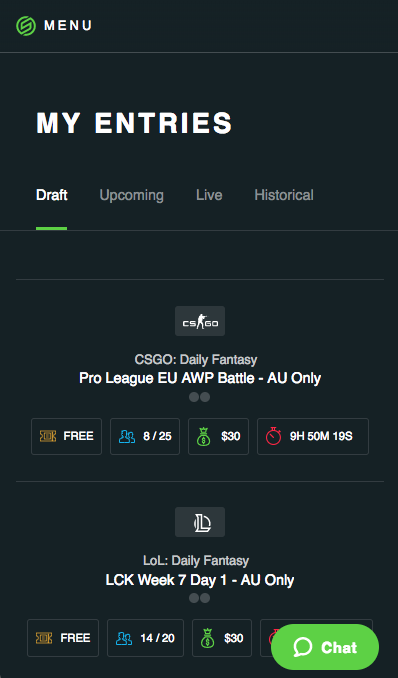 Our Canadian friends can now enter our free-to-play tokenised contests, competing in esports Daily Fantasy to win SKR tokens. Canadian users join our existing US and Australian community. More countries coming soon, so hold tight! We are working closely with our US lawyers and regulatory bodies to offer pay-to-play contests in selected states in the US, to complement all 50 US states we are already offering free to play tokenised contests to. The first of these should be coming online in the next few weeks, along with the removal of the beta tag. Keep your eyes peeled. A key feature we are currently testing is the ability for users to buy and sell SKR tokens for USD / BTC seamlessly within the platform. This will be a huge milestone, significantly reducing friction and improving user experience, particularly for first time crypto users. We will have more to reveal here soon. We were to list on our first centralised exchange on February 22nd. We were informed that this was to be postponed late in the process, in order to meet additional listing requirements. We are currently working with the exchange to resolve their requests and confirm a re-listing date. As soon as we have more to report here, we will inform the community. We have also listed on another decentralised exchange, ForkDelta. Skrilla’s partner, GAMURS Group, is working in tandem with the Skrilla team to kick off extensive marketing campaigns from mid March onwards. The initial goal is to grow brand awareness and the US customer base. The GAMURS Group is a leading esports media network dedicated to shaping the future of gaming. Their flagship platform, Dot Esports, is an all-in-one platform offering members breaking news, in-depth coverage of esports personalities and events, and soon the largest single hub for esports data in the world. GAMURS Social Reach: 5 million+ followers. 260 million impressions per month. For a sneak peak of whats in store, check out the following campaign to win an Arozzi Vernazza Gaming Chair. We have launched platform notifications! 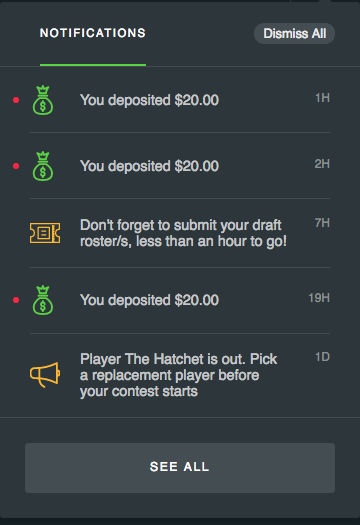 Now you will be notified of wins, learn as soon as your deposits are confirmed on the chain, and never forget a last minute player change. Email notifications will follow shortly to round out the experience. You can also toggle notifications on /off in the settings to suit your personal preferences. A significant number of improvements have been made to mobile. We have tightened up the UX/UI within the ‘Onboarding’, ‘Lobby’, ‘Entries’ and ‘Ewallet’ sections, along with a range of smaller refinements, based on the feedback you’ve shared with us. Keep it coming! 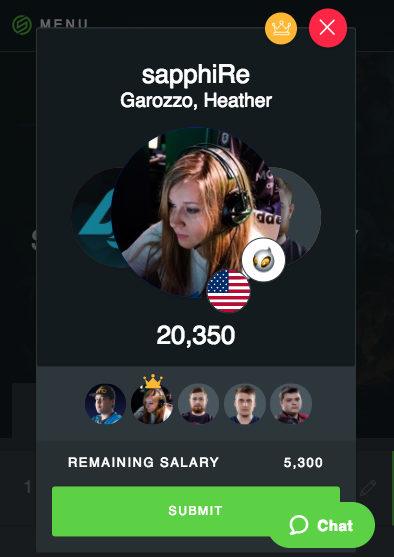 We have made some adjustments to the salary algorithm, based on the advice of our LoL and CS:GO gurus, as well as fixed up an issue related to the player ‘form’. If you have more feedback on the scoring system, keep it coming!